Kochi, April 10, 2019 – Kochi, the port-city of Kerala, is not only known for its scenic beauty but also as one of the important trading hubs of India. The steady growth of over 25% in demand for home products like home textiles, houseware, home décor and gifts make Kerala in general and Kochi in particular, a lucrative market for these categories. These growth figures clearly indicate that the city’s consumers have higher aspirations and more disposable income than the rest of the state and the country. Observing these trends, Mr. Arun Roongta, Managing Director, HGH India, the largest trade show for Indian Home Product market, addressed the media at Kochi on April 10, 2019. Food, Clothing and Shelter – in the order of priority, are the basic needs for humans. Having met the need for food and clothing to a large extent, the urban middle class Indian is now aspiring for a better and smarter home which is consequentially reflected in the increased activity in the real estate and home-related industries. Thanks to a higher number of NRIs in Kerala, consumers have high international exposure and more disposable income than rest of India and are consistently looking to upgrade their homes and lifestyle. With people starting to look at homes as a reflection of their standards, homes have become a status symbol and as a result home textiles, home décor and houseware products are experiencing a demand surge in most parts of the country. HGH India has seen an increasing number of visitors from Kerala, year after year. From 2017 to 2018 there was an increase of 35% in the number of visitors. Kochi being a leading urban center and the largest cosmopolitan metropolis in Kerala, it reflects the high potential of this state in contributing to the demand and supply side of home textiles, home décor and houseware markets in India. Many of the Indian as well as International brands of curtains, furnishing fabrics, durries & carpets, bed sheets, readymade mattresses, towels, cookware, cutlery, storage & plastic houseware, glassware, crockery, kitchen appliances, decorative accessories, wallpapers, etc. are increasingly trying to reach out to distributors and retailers in Kerala. HGH India 2019, the eighth annual edition of this tradeshow is slated for July 2-4, 2019 at Bombay Exhibition Centre, in Mumbai. Besides unveiling design and fashion trends for 2019 – 20, HGH India will also bring an interesting array of product innovations from brands, manufacturers, importers and distributors. The tradeshow will host over 700 exhibitors from 32 countries and over 35000 serious trade visitors from 500 cities and towns across India, including retailers, wholesalers, architects and institutional buyers. HGH India, the annual trade show for Home Textiles, Home Décor, Gifts & Houseware is organised by Texzone Information Services Pvt. Ltd. The trade show is specially designed to connect the Indian market for home products and gifts with retailers, artisans and micro enterprises. High quality trade visitors at HGH India include department stores, hyper markets, specialty stores, high-end luxury stores and boutiques, traditional store owners, and online and electronic medium retailers. Institutional buyers, corporate gift buyers, interior designers, prospective agents and franchisees also attend the event in large numbers. Besides these, leading Indian importers, distributors, buying agents and brand representatives attend HGH India to explore new business opportunities and partnerships. HGH India has firmly established itself as a world-class, professional, trend-setting trade show for home textiles, home décor, houseware and gifts. The show connects its exhibitors with their potential trade buyers in India and helps them find long-term business partners. HGH India, the annual trade show for home textiles, home décor, and housewares; is all set to achieve new benchmarks in the 2019 edition, which is scheduled from July 2nd to 4th. Ahmedabad, 3rd April 2019: The evolution of Ahmedabad as a city is a story that inspires the rest of Gujarat. The city, from being a cultural and industrial hub of Gujarat has evolved into a mini-metro with a population of 7 million people and has become one of the biggest commercial centres and consumer markets in India. With a well-planned development over the last two decades and rising disposable incomes of its citizens, Ahmedabad and its surrounding areas are bustling with retail and lifestyle activities, leading to its recognition as one of the fastest growing cities in India. Evaluating its potential, today, Ahmedabad has been chosen amongst 100 smart cities to be developed by the Government of India. With very high construction and housing activities over the last decade, the city has obviously seen a rising demand for home products like home textiles, home décor & houseware. With the consumer demand growing at over 25% per annum, not only many of the existing stores specialising in these sectors are expanding their size and operations, many new stores are coming up all over the city. Mr. Arun Roongta, Managing Director, HGH India a focussed trade show for the home products market in India, visited Ahmedabad to share the progress of the 8th annual edition of this show, with specific reference to Gujarat. Sharing some interesting insights, he said, “Ahmedabad, is among the richest cities in India with an estimated GDP of $68 billion. GSDP of Gujarat increased at a CAGR from 2011-12 to 2016-17 of 13.47 per cent. Besides, a large amount of industrial investments in different sectors and infrastructure makes it one of the most rapidly growing states in India. Cities like Ahmedabad, Surat, Vadodara, Rajkot, Bhavnagar, Gandhidham already have their traditional manufacturing and commercial base. Consumers in Gujarat have always valued decorating and upgrading their homes as part of their culture. Interaction with leading retailers of Ahmedabad and Surat clearly reveals that demand for products like furnishing fabrics, wallpapers, curtains, blinds, readymade mattresses, bed sheets, decorative made-ups is growing consistently between 20% to 50%, depending on the item. Similarly, consumers in Gujarat are now increasingly preferring branded tableware, kitchen tools, cookware, kitchen appliances, storage & containers and general houseware. Both international and domestic brands are experiencing high market growth in the state of Gujarat. On the supply side, Ahmedabad has always been recognised as a hub for textile processing in India, with one of the largest capacities for wide width bedsheet printing in its hundreds of process houses. Gradually, the city has also expanded to become an important production centre for plastic houseware. Besides, several manufacturers and importers of melamine, ceramic & pottery, decorative hardware, wallpapers and several houseware and decorative accessories have come up in cities like Ahmedabad, Surat, Vadodara, Vapi, Rajkot & Bhavnagar to cater to not only the rising demand within the state, but also in the national and international markets. HGH India has firmly established itself as a world-class, professional, trend-setting trade show for home textiles, home décor, houseware and gifts. The show connects its exhibitors with their potential trade buyers in India and helps them find long-term business partners . Lucknow, 6th March 2019: Lucknow, besides being the state capital, is a rapidly emerging mini-metro with its various infrastructure development programs. It is poised to become a centre of growth for Uttar Pradesh, one of India’s most populated states. Lifestyle changes in the city’s educated and aspirational youth, which are large in numbers, is leading to the growth of the home products market in this city. Lucknow is also one of the top emerging retail markets of India. Having analysed these opportunities, Mr. Arun Roongta, Managing Director, HGH India provided some interesting insights into the subject with the media in a press meet on 6th March 2019. Uttar Pradesh houses India’s biggest and flourishing handicraft centres, which have carved a niche for themselves in the global markets with their uniquely created home décor, home textiles and houseware products. Lucknow’s Chikankari, Moradabad’s brass and metal work, Saharanpur’s wood crafting, Firozabad’s glass work, Bhadohi’s expertise in handmade carpets, Kanpur’s leather products and Agra’s marble work are well- known across the world. While all these centres have made their mark in the international market, they have not tapped the huge market opportunities offered by India’s domestic market in an organised manner. Today, India is one of the biggest global market for home products growing at 25% per annum. World’s leading brands and producers are focussing on India as their top 3 potential markets. There is no reason why the Indian exporters should not tap this market opportunity to their benefit and create their own brands in these segments. Uttar Pradesh must act in time to take the market lead in India. Hence, Uttar Pradesh has a dual opportunity in the Indian domestic market to become a centre of activity for home products in India. While large cities like Lucknow and Kanpur are emerging big retail and consumption centres, various handicraft centres can emerge as leading suppliers across the country. When we specifically look at Lucknow, a recent report by ANAROCK mentions that 35% of luxury retail consumption in India comes from Tier II and Tier III cities, making Lucknow among 11 other cities in the country, as the top retail destination. In the last couple of years many retail real estate developers have ventured into the city and some are expected to set up business in 2019. Given the changing lifestyle patterns, growing spending power and home being an important aspect of life, makes Lucknow a potential market of the growing home industry. HGH India, the annual trade show for Home Textiles, Home Décor, Gifts & Houseware is organised by Texzone Information Services Pvt. Ltd. The trade show is specially designed to connect manufacturers, brands, artisans, SMEs, micro enterprises and international manufacturers of these products with the rapidly growing Indian domestic market. High quality trade visitors at HGH India include department stores, hyper markets, specialty stores, high-end luxury stores and boutiques, traditional store owners and online retailers. Institutional buyers, corporate gift buyers, interior designers, prospective agents and franchisees also attend the event in large numbers. Besides these, leading Indian importers, distributors, buying agents and brand representatives attend HGH India to explore new business opportunities and partnerships. HGH India has firmly established itself as a world-class, professional, trend-setting trade show for home textiles, home décor, houseware and gifts. The show connects its exhibitors with their high potential trade buyers in India and helps them find their long-term business partners here. It provides a quick and effective access to the rapidly emerging Indian home products market. 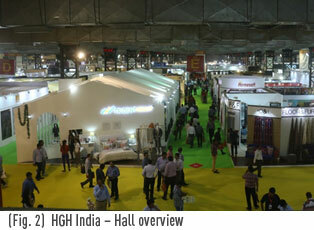 35,960 serious trade visitors from 480 cities and towns across India visited the last edition of HGH India. 600 exhibitors from 32 countries had exhibited their products. 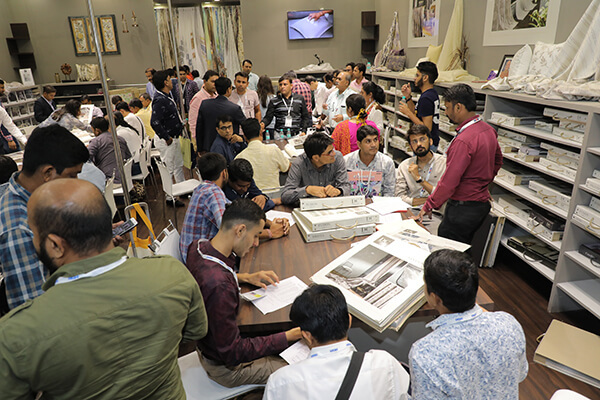 HGH India 2019, the annual trade show for home textiles, home décor, and housewares; is all set to achieve new benchmarks in its eighth edition slotted from 2-4 July, 2019. The number of exhibitors and visitors are likely to go up by about 20 per cent. Hyderabad, Feb 28, 2019: As Hyderabad, the City of Nawabs is experiencing over 25% growth in its retail buying since last couple of years and is expected to sustain this growth rate over the next few years, HGH India has decided to bring the twin cities’ home products market under its primary focus. Taking the growth story forward in Hyderabad’s home market, consisting of home textiles, decorative accessories and houseware, is the city’s unique blend of tradition and modernity. Their co-existence is reflected in the rapidly growing number of home stores in the twin cities. The intricate traditional craftsmanship of Hyderabad resonates perfectly with its modern twin city, Secunderabad. Offering innovations and new product ideas from over 30 countries across the world to the retailers, wholesalers, importers and distributors of this eclectic market is HGH India, the annual trade show for home textiles, home décor, houseware and gifts. Demand for these products in Hyderabad is growing at over 25% to 30% per annum, according to the city’s leading retailers for home products. Mr. Arun Roongta, Managing Director, HGH India elaborated on what makes Hyderabad so lucrative for manufacturers, brands and retailers in all segments of home products during a media interaction at Hyderabad on 28th Feb 2019. Describing the potential of Hyderabad market, he said, ‘Hyderabad is a city with rich cultural heritage and traditions which is rapidly adopting to the modern and contemporary lifestyle. With rising per capita incomes and growing affluence of consumers in this city, the demand for more innovative, time- saving and convenience-oriented home products is bound to grow here. HGH India is focused on bringing, high-quality products from reputed Indian and international brands, skilled craftspersons from across the country and innovative designers to the Indian retailers, who can in turn reach them to aspirational and upwardly mobile consumers. Hyderabad is vibrant and growing city with thriving consumption. Since we constantly strive to provide a business ecosystem to home retailers and manufacturers in order to showcase their creations through HGH India, we feel that HGH India is positioned to ensure big growth opportunities to everyone connected with home business in Hyderabad and the entire state of Telangana. With Hyderabad increasing investments in manufacturing and service industries, migration from other states has reached an all-time high. This has led to a boom in demand for more houses, rented or owned along with all other allied products associated with setting up of new homes. The thriving start-up industry has enabled many, young, aspirational people with spending power to shift to Hyderabad, adding another dimension to growth in the city’s affluent population. For four consecutive years, Hyderabad has ranked first in the ‘Quality Of Life Index’ in India. The city is invariably poised at the cusp of an artistic renaissance especially since the standard and quality of life has improved dramatically. The citizens of Hyderabad have developed a taste for the unconventional, merged with modernity, with a hint of its rich cultural heritage, and this reflects in their homes and choice of home décor. This generation considers home décor as a primary need and is willing to invest in unique and innovative products that set their homes apart. In keeping with this need to innovate, traditional Hyderabadi artisans are toiling to improvise and use their traditional skills to develop new designs, particularity in the carpet and upholstery market. HGH India has firmly established itself as a world-class, professional, trend-setting trade show for home textiles, home décor, houseware and gifts. 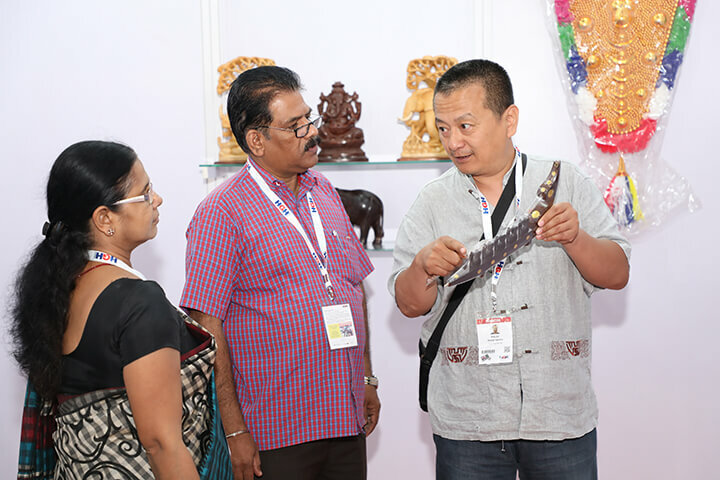 The show connects its exhibitors with their high potential trade buyers in India and helps them find their long-term business partners here. It provides a quick and effective access to the rapidly emerging Indian home products market. HGH India, the annual trade show for home textiles, home décor, and housewares; is all set to achieve new benchmarks in the 2019 edition slotted from 2-4 July. 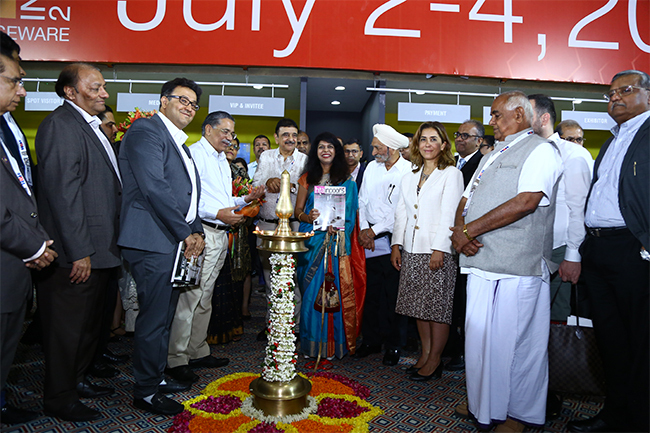 Mumbai, July 19, 2018: HGH India 2018, 7th annual edition of the trade show for Home Textiles, Home Décor, Houseware, and Gifts received an overwhelming response from the trade visitors and the industry. 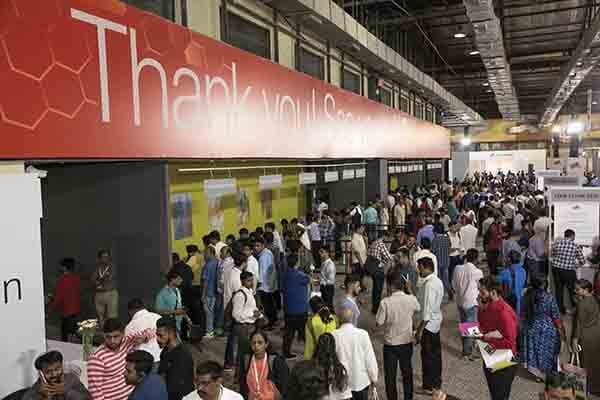 34,960 trade visitors, primarily retailers, distributors and institutional buyers from 480 cities and towns across India attended this trade show to find innovations, source home products for their business and discover upcoming home fashion trends for 2018-19. This latest edition of HGH India witnessed 14% rise in the number of visitors over last year. Over 600 brands and manufacturers from 30 countries unveiled their innovations and new collections at HGH India 201 8, either directly or through their Indian partners. HGH India 2018 saw some of the biggest brands like Welspun, Bombay Dyeing and Marshal launch their new products which peaked the buyer’s interests. HGH India 2018 also saw international participation showcasing products from Turkey, German, Italy, UK, France, Greece, USA, Taiwan, Thailand, Korea, China, Russia, Poland, Japan, Belgium, Bangladesh, Sri Lanka and many others. HGH India, the annual trade show for Home Textiles, Home Décor, Gifts& Houseware is organised by Texzone Information Services Pvt. Ltd. The trade show is specially designed to connect Indian market for home products and gifts. High quality trade visitors at HGH India comprise of all categories of retailers. They include department stores, hyper markets, specialty stores, high-end luxury stores and boutiques, traditional store owners, and online and electronic medium retailers. Institutional buyers, corporate gift buyers, interior designers, prospective agents and franchisees too come in large numbers. Besides these, leading Indian importers, distributors, buying agents and brand representatives attend HGH India to explore new business opportunities and partnerships. Mumbai, July 04, 2018: The power packed Day 2 at HGH India 2018 continued to witness innovations and product launches by leading Indian and international brands and manufacturers. Home Textile, Home Decor, Houseware and Gifting categories continued to attract eyeballs. The Indian and International and suppliers at HGH India are today amongst global leaders and are associated with world’s top brands and retailers. Amongst them, in Home Textile companies like Welspun, Trident, Springfit and GM Fabrics;In Houseware, Corelle, Borosil, Berghoff and Noritake; in Home Decor Marshal, Exel and Sunrise were present at HGH India 2018, offering their world class quality and innovations to Indian consumers. In addition, HGH India presented pavilions with enriching group participation from renowned associations such as AIWA (All India Wallpaper Coverings Association), EPCH (Export Promotion Council for Handicrafts), EVSID (Turkish Houseware Manufacturers and Exporters Association), Golden Seal, HMCM (Handicraft Mega Cluster Mission) and HKTDC (Hong Kong Trade Development Council) among others. Visitors were able to find latest and unique products from leaders in mattresses, table & kitchen linen, wall papers, blinds and window dressings, home décor accessories, fragrances & spa products, handicrafts, artefacts, gifts, cookware, tableware, kitchenware, kitchen appliances, storage among general houseware. Home Textiles – Home textiles and furnishing fabrics continue to be the largest selling categories in India’s home products market. With a consumption growth of 15-20% CAGR, they are creating increasing opportunities for existing as well as new retailers. Hundreds of new home textile stores are coming up across India every year. 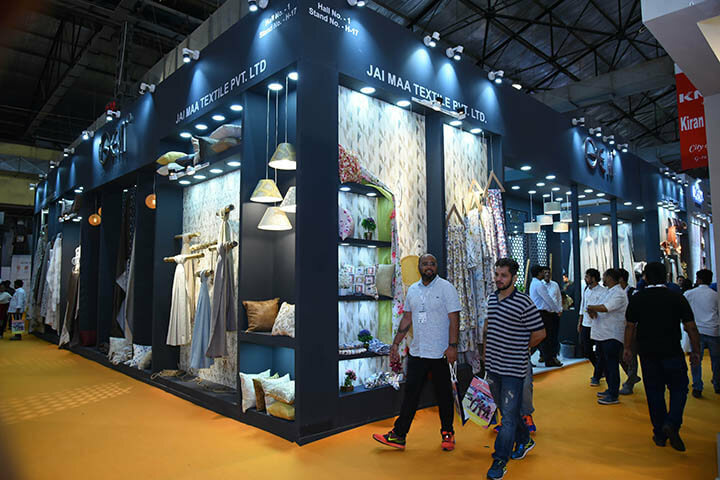 Many specialty stores like Jagdish Stores, Bharat Furnishings, Skipper, Darpan, Pride in cities like Mumbai, Delhi, Kolkata, Bengaluru, Hyderabad and Ahmedabad who are fast becoming national chains with 5-20 stores, were seen at the show. The top categories under home textile that saw traction were bed sheets, bed covers, decorative beddings, towels, bath linen & bath accessories, furnishing fabrics, curtains & blinds with their accessories, decorative made-ups, mattresses & pillows, rugs & carpets, bath mats, table & kitchen linen and coir & jute products – all housed at Hall 1 of the trade show. Houseware – This year the Houseware segment, which has been witnessing consistent growth at HGH, moved to a bigger Hall 3. With rising incomes, Indian consumer demand in all sub-categories of houseware has been growing annually between 20-25%. New specialty retailers were seen sourcing products ranging from kitchenware, tableware, cookware, kitchen appliances, home appliances to security, bath accessories, storage, maintenance, cleaning & hygiene and outdoor & garden products. An important trend noticed was integration of houseware with home décor and home textiles at retail level due to changing buying habits of consumers, leading to increased demand from home textiles and home décor retailers for houseware. Hall 3 was populated with prominent brands like Versace (Italy), Corelle (USA), Clay Craft, Lock-n-Lock (Korea), Berghoff (Belgium), Borosil and Baltra among others. Homedecor – This year, there was a dedicated Home Decor segment set up in Hall 2. Home décor products like wallpapers, decorative synthetic & wooden flooring, wall décor, table tops, murals, artifacts, paintings, decorative clocks, photo frames, figurines, flowers, fragrances, decorative candles & candle stands, decorative mirrors & lights; handicrafts and a variety of decorative furniture and accessories were seen as priority items for home retailers to attract and retain customers. HGH India offers opportunity for its home décor exhibitors to create national brands in this category, where products are almost entirely sold as unbranded commodities. Visitors experienced a complete voyage of discovery for their stores in hall 2, with widest ever range of exquisite handicrafts, artifacts and modern machine-made decorative accessories. Wallpaper – In the Home Decor segment, wallpaper deserves a special mention with 20 brands and distributors showcasing the widest ever range of wallpapers imported from all over the world, in an exclusive Wallpaper Pavilion organized by All India Wallpaper Coverings Association (AIWA). India is one of the fastest growing global markets for wallpaper where the demand is growing by 100% per annum. Yet, the country doesn’t have any domestic producer of base wallpapers and the entire demand, in premium as well as basic category, is met through import. Some of AIWA’s members exhibiting through the Wallpapers Pavillion include Marshalls, Gratex, Excel Wall Interiors, H & H Wall Covering, Adornis, STC Wallpaper, Atco Interiors, Artisan Furnishing, Daga Wallpapers, Creative Wallpaper, W.S. India, Royal Wallpapers, InDesign, K2 Impex, S. C. Sheth & Sons, Sweet Home, Design Wrap and UDC. 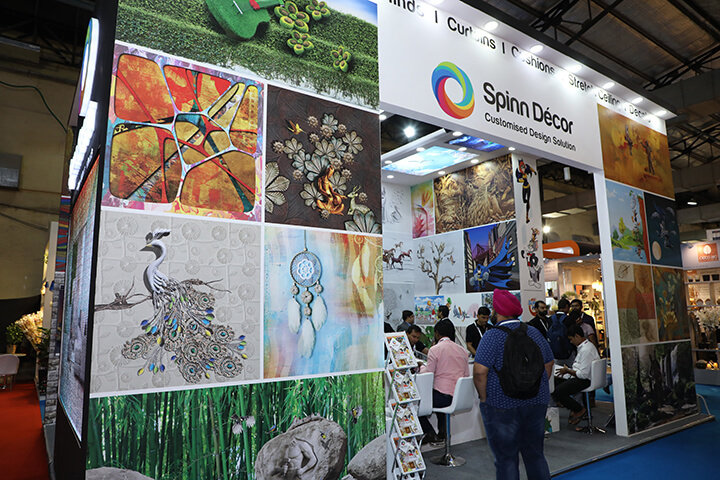 Over 600 exhibitors from India and abroad showcased their innovative products from across categories which included designer, branded and mass produced goods. This includes over 100 new and unique domestic and international exhibitors across the home products segment. The list includes TTK Prestige (cookware & kitchen appliances), Baltra (kitchen appliances), Stallion Barware (Barware), Decorex (Blinds), Divine (wallpapers & soft furnishings), Marcopolo (decorative flooring), Peps (mattresses) and Archies (Gifts) from India and TSV (cookware) from Italy, Uscan Plastik (household & kitchenware) from Turkey and many more companies participating in the Turkish, Chinese and Taiwanese Pavilions. However, the backbone of the trade show has been the returning exhibitors which include most prominent names in the industry. Mumbai, July 03 2018: – HGH India 2018, the annual trade show for Home Textiles, Home Décor, Gifts & Houseware in India is back with its 7th edition. The three day exposition was inaugurated by Dr. Kavita Gupta, IAS Textile Commissioner, Govt of India. HGH India is the country’s largest trade show for integrated home products offering giving a unique opportunity to source world-class merchandise. The show will witness more than 550 brands and 100 exhibitors from 30 countries. They shall showcase their latest designs and product innovations. Aproximately 35000 buyers, specifyers and decision makers are expected to come. Kochi, June 14, 2018 – Kochi, the commercial hub of Kerala and a port city, has grown to become an important homeware import, distribution and consumption centre in India. With high per capita incomes being generated from commercially activities locally as well as from the NRI sources, Kochi has today evolved into one of the biggest consumers of houseware products like cookware, glassware, crockery and similar products. Mr. Arun Roongta, Managing Director, HGH India shared some interesting insight with the media at a press event in Kochi on June 14, 2018. With one of the highest numbers of Non-Resident Indians per family, Kerala gets consistent funds and has emerged as a consumer market with high spending power. Consumers’ tastes here are also influenced by high international brand and lifestyle exposure. The locals prefer to buy good quality, sophisticated and branded products for their clothing, fashion, food, houseware and home décor needs. Owing to this, the houseware, home textiles and home décor demand and retailing have seen a healthy growth over the last few years. Retailers in Kochi need to constantly offer new designs and new products to their customers to stay ahead in their business vis-à-vis their competitors. HGH India 2018, the country’s largest trade show for home textiles, home décor, houseware and gifts to be held in Mumbai from July 3-5 offers a unique opportunity to source world-class products where 550 brands and manufacturers from 30 countries will showcase their latest designs and product innovations. Kochi is also the largest manufacturer of exporter of Coir products in India. Coir is not only used as a raw material in products like mattresses and sofas a large number of eco-friendly finished products like door mats and decorative accessories made from coir are popular worldwide and within the country. Coir Board, headquartered in Kochi, is also organising a group participation of coir finished products manufacturers in HGH India to enable them access the national market of India by meeting over 35, 000 retailers and trade visitors from 470 cities and towns across India. Kochi has, in recent years also developed manufacturing of items like cookware and umbrella which are gaining popularity at national level due to their high quality and good designs. HGH India, the annual trade show for Home Textiles, Home Décor, Gifts & Houseware is organised by Texzone Information Services Pvt. Ltd. The trade show is specially designed to connect Indian market for home products and gifts. High quality trade visitors at HGH India comprise of all categories of retailers. They include department stores, hyper markets, specialty stores, high-end luxury stores and boutiques, traditional store owners, and online and electronic medium retailers. Institutional buyers, corporate gift buyers, interior designers, prospective agents and franchisees too come in large numbers. Besides these, leading Indian importers, distributors, buying agents and brand representatives attend HGH India to explore new business opportunities and partnerships. Ahmedabad, June 12, 2018: Ahmedabad’s role in India’s rapidly growing home textile, home decor and houseware industry and market is gaining increasing importance. Mr. Arun Roongta, Managing Director, HGH India today visited Ahmedabad to share some interesting insights on this subject with the media. Mr. Roongta stated that Ahmedabad, a traditional textile hub, has modernised and installed state-of-the-art vertically integrated textile facilities for spinning, weaving and processing for apparel and non-apparel applications. Some of them have installed wide-width weaving and processing facilities for home textiles. Many of these wide-width process houses and textiles manufacturers are today leading exporters of bed sheets, bed sets, furnishing fabrics and other made-ups; besides producing for India’s leading brands and retailers. Now they are looking at launching their own brand in the Indian domestic market where the demand is growing consistently at 15-20% annually. The city has grown to become the second largest bed sheet printing and processing centre in India for export as well as domestic consumption. In addition, the city also has a large number of polymer processing units which are contributing substantialy to the production and exports of various products for home and houseware sectors. According to the National Advisory Board of PlastIndia Foundation, the Indian plastic industry will continue to grow above 8-10%. Several plastic houseware and storage products manufacturers in plastic industry have been able to sense the growing market opportunity at home and are trying to expand their distribution at national level within India. Ahmedabad is an important economic and industrial hub and seventh largest metropolitan cities in the country. Increasing construction, housing and corporate infrastructure activities are leading to increasing demand for interiors and home products. With high per capita income and highly aspirational young population of the city, it is today one of the best retail markets in India for fashion, food and lifestyle products, including home textiles, home décor and houseware. A number of high profile large and small specialty home stores are coming up in the city year after year, who are offering world-class home products to local consumers. They source not only from local producers but from top most brands from India and several other countries. Thus, the city is emerging as an important manufacturer, supplier and consumer of home textiles, home décor and houseware products. HGH India, the annual trade show for home textiles, home décor, gifts ,houseware is specially designed to connect Indian market for home products and gifts. High quality trade visitors at HGH India comprise of all categories of retailers spread across rural and urban India. They include department stores, hyper markets, specialty stores, high-end luxury stores and boutiques, traditional store owners, and online and electronic medium retailers. Institutional buyers, corporate gift buyers, interior designers, prospective agents and franchisees too come in large numbers. Besides these, leading Indian importers, distributors, buying agents and brand representatives attend HGH India to explore new business opportunities and partnerships. Mumbai, 28th June: : HGH India 2018, India`s largest trade-show for home textiles, home décor, houseware and gifts – designed exclusively for the professional and trade visitors – presented the latest trends forcasted by it in home fashion and lifestyle at a press conference in Mumbai. Conceptualized and implemented by the internationally renowned design office Sahm + Permantier, the trend, under the title ‘Transition’,reflect the influence of social, lifestyle and technological changes in the Indian home products market in 2018 – 19. So Funky at Home: It is the most dynamic and optimistic trend, gritty and upbeat. This trend is open for the patchwork of life. A lot of inspiration for wallpapers and textiles is based on industrial materials: mesh and grid structures displayed with a wide range effects, including layers. The prevailing patterns under this trend are wild stripes, scratched tapes, wavy and zigzags, bold typography elements and comic strip aesthetics. For textiles and objects, transparency effects are of interest as foils and vinyl, coloured transparent plastic and LED light décor. Vibrant colours are combined with black and white; neon colours give a striking accent. Soft shades of Nature: An atmosphere of privacy and spa, cosy and comfort is created through this trend. The upholstery is held in fine textures for a relaxing upscale ambiance. Gentle colour fading, laces, net, shiny silk, mettallic yarn effects and sequins work are displayed mainly in floral décor. Walls are gently coloured, soft shadings of warm pink to violet create a subtle sensitive atmosphere, highlighted by sand and beige tones. Beds are laid in gracious and comforting colours transmitting clearness and light. Soft yellow and green accents recover the feeling of gentle sunshine and nature. A special note is given by gold and pastel mettalic shine accessories, leaving the rooms with a delicate scent. The trends forecasted in ‘Transition’ are also available compiled in a trend book,They have a physical manifestation at a generously dimensioned special area in HGH India 2018 named the Trends Pavilion in Hall 1. The Trends Pavilion is not an abstract concept of future trends but applicable designs and colours which can be replicated. The innovative and fashionable styles, textures and products used in the trends pavilion are sourced from exhibitors, who are showcasing their products at the trade show, emphasizing the utilitarian objective of the showcased trends. Mumbai, July 2017: : HGH India 2017, 6th annual edition of the trade show for Home Textiles, Home Décor, Houseware, and Gifting received an overwhelming response from the trade visitors and the industry. 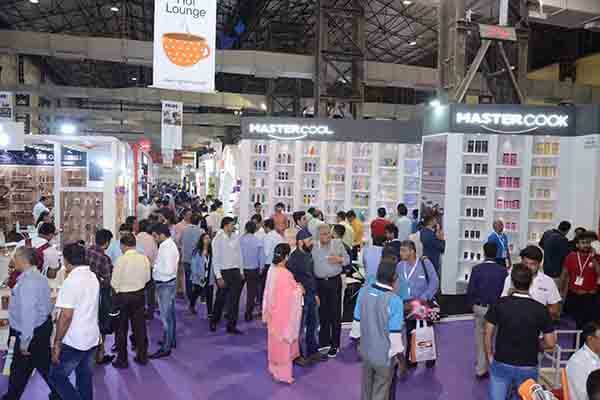 30,700 trade visitors, primarily retailers, distributors and institutional buyers from 462 cities and towns across India attended this trade show to source home products for their business and discover upcoming home fashion trends for 2017-18. This latest edition of HGH India witnessed a 22% rise in the number of visitors, proving the growing popularity of the trade show amongst serious buyers. Over 500 exhibitors from 30 countries unveiled their innovations and new collections at HGH India 2017. The Guest of Honor Consulate General of Turkey, H. E. Mr. Erdal Sabri Ergen shared his optimistic views on the business potential that India offers in the home décor and houseware industry. HGH India 2017 became the first major trade show for the Indian market post the implementation of GST, which directly connected retailers with brands, manufacturers & importers. The large number of visitors attending the event and their industry lookout confirmed that the entire industry is looking at GST reform in a positive way. With its professional and businesslike environment, HGH India proved to be a platform for the exhibitors to connect with high potential Indian trade buyers and channel partners to explore this rapidly emerging market. HGH India 2017 presented home fashion and lifestyle trends for 2017/18 for the Indian market under the theme “across time”. Conceptualized and implemented by the internationally renowned design studio Sahm + Permantier, these trends reflect our roots in the past as well as our current life and traces to the future. The Trend Book “across time” encompassing these trends provides clear direction to the entire value chain in Indian home products industry as well as consumers in terms of colours, designs, materials, and styles. Manufacturers, brands, retailers, and professionals in the home business can apply these trends across categories like home textiles, furnishings, home décor, houseware and gifts. An elaborate trends pavilion helped visitors not only understand these trends better but also enabled them to see their actualization and source them for their business needs. HGH India 2017 had largest ever international participation showcasing products from Turkey, Italy, UK, France, Spain, Greece USA, Taiwan, Thailand, Korea, China, Australia and many others. HGH India 2017 witnessed several new product launches and innovations from leading Indian and international brands and manufacturers. Wall coverings industry announced the formation of their ‘Wallcovering Association of India’ at HGH India 2017. Textile Commissioner Dr. Kavita Gupta launched ‘HTA Indoors’ Magazine for Home Textile Association of India. Welspun Global Brands Ltd used the trade show to launch a new logo for their brand ‘SPACES’. Several market leaders and high profile brands shared their trade schemes and business plans with their current and prospective dealers and distributors across India. National and international players in product categories like bed & bath linen, furnishing fabrics, floor coverings & carpets, mattresses, table & kitchen linen, wall papers, blinds and window dressings, home décor accessories, fragrances & spa products, handicrafts, artefacts, gifts, cookware, tableware, kitchenware and general houseware found HGH India a useful platform to expand their distribution network. The next edition of HGH India is scheduled from 3rd to 5th July 2018 at Bombay Exhibition Centre, Mumbai. Mumbai, July 07, 2017: HGH India, the leading B2B trade show for Home Products and Gifts stimulates the growing home products sector in India. This year, apart from home textiles, HGH saw an increased number of exhibitors from houseware, home décor and the cleaning & hygiene segment. 90% of top 100 Indian retailers in home business participated in HGH India this year, represented by senior decision makers, reflecting the usefulness of this trade show for their business. 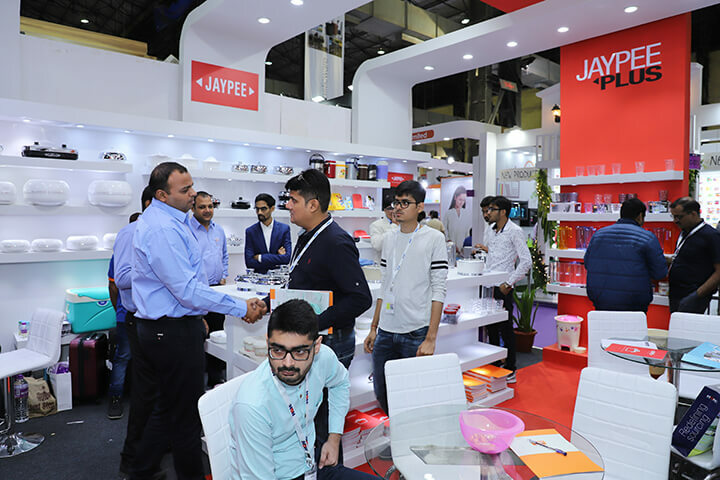 Over 500 exhibitors from India and abroad showcased their innovative products from across categories which included designer, branded and mass produced goods. This includes over 100 new and unique domestic and international exhibitors across the home products segment. The list includes TTK Prestige (cookware & kitchen appliances), Baltra (kitchen appliances), Stallion Barware (Barware), Decorex (Blinds), Divine (wallpapers & soft furnishings), Marcopolo (decorative flooring), Peps (mattresses) and Archies (Gifts) from India and TSV (cookware) from Italy, Uscan Plastik (household & kitchenware) from Turkey and many more companies participating in the Turkish, Chinese and Taiwanese Pavilions. However, the backbone of the trade show has been the returning exhibitors which include almost all prominent names in the industry. Apart from the wide range of product showcased, HGH India has also been the preferred venue for various brands to launch their latest collection or innovative offering, amongst their target audience. The key launches this year were from renowned brands like Spaces, Portico New York, Maspar, Swayam, Tangerine, Trident, Boutique Living, Dicitex, F&F, Nuhome Décor, Zynna among others. In the background of a buoyant Indian economy, many home product categories have seen an extraordinary growth of 20-30% per annum. The domestic market is well on its way to become a lucrative and long-term market for national and international brands, manufacturers and retailers of home products. Market-led expositions like HGH India play an important by creating a common platform for suppliers, retailers and the entire home product community. HGH India 2018 is scheduled from 3rd to 5th July. Mumbai, June 5th 2017: This year HGH India has a larger contingent of international exhibitors participating in the exhibition. The exhibitors from the Home Products and Gifting Industry include leading international brands like King Koil, Marvels from USA, TOSO from Japan, and Joseph Joseph from UK, Lenzing from Austria, Bormioli Rocco and TSV from Italy, Nachtmann and Spigelau from Germany, Ocean from Thailand, Uscan Plastik from Turkey among other prominent industry players. International brands from over 28 countries exhibited this year. There is a growing interest among international players to participate in HGH India because they value the market insights and consumer trends shared at this exhibition. HGH India this year had special international pavilions set up for Turkey, Taiwan and China where they exhibited their extensive range of home products. The international interest was also manifested by the presence of Consulate General of Turkey, H. E. Mr. Erdal Sabri Ergen, Consulate General of Sri Lanka, Vireshika Bandara, Consul General of Viet Nam, Tran Xuan Thuy. They shared their optimistic views on the business potential that India offers in the home décor and houseware industry. Offline and online retailers, specialty stores, hypermarkets, distributors, importers, wholesalers and institutional buyers found products and services at HGH India 2017 innovative, well-designed and of high quality standards. Trade visitors could identify the new and upcoming colours, designs, materials and styles for 2017-18 in home textiles, furnishings, home décor and houseware through ‘across time’ a stylish and well-researched Trends Pavilion put up by the organisers. HGH India, the annual trade show for Home Textiles, Home Décor, Gifts & Houseware is specially designed to connect Indian market for home products and gifts. High quality trade visitors at HGH India comprise of all categories of retailers spread across rural and urban India. They include department stores, hyper markets, specialty stores, high-end luxury stores and boutiques, traditional store owners, and online and electronic medium retailers. Institutional buyers, corporate gift buyers, interior designers, prospective agents and franchisees too come in large numbers. Besides these, leading Indian importers, distributors, buying agents and brand representatives attend HGH India to explore new business opportunities and partnerships. Mumbai, July 5, 2017: HGH India 2017, India`s trade-show for home textiles, home décor, houseware and gifts – designed exclusively for the professional visitor – presented the latest trends in home fashion and lifestyle. Conceptualized and implemented by the internationally renowned design office Sahm + Permantier, the trends under the title ‘across times’ reflects our roots in the past, our current life and traces to the future. The predicted trends are derived through intense research on changing consumer values, lifestyle, evolving technology and attitudes. The trend book thus helps manufacturers, brands, retailers and professionals in home business to connect their products and innovations to the aspirational Indian consumers through these trends. The beauty of diversity is best expressed in nature. The traditional floral design approach opens up and merges with opulent tropical pattern in supernatural colourations and as giant digital flower prints. In nature, surrounded by plants and flowers, we take rest and relax from the omnipresent stress and noisy life. Research shows that experiences nature, even in the form of nature prints, reduces stress and contributes to emotional and physical wellbeing. Our senses are constantly stimulated by the presence of plants. Recognizing the great potential of nature, all natural products are a part of this trend. Ethnic designs are in focus all around the world as a unifying global trend. So India as a country with strong creative traditions is actually on stage with its vast array of handicrafts from dyeing, weaving, quilting, printing to wood carvings, basketry craft and metal works. In a well created, warm Bohemian ambience these Indian creations are in good company. The décor plays a key role with textured wallpapers, pattern mix and wooden furniture. The interior ambience is complemented with cherished objects. The classic interior is an expression of the human desire for balance and harmony. In today’s modern lifestyle the interpretation of the classical as we know it has become somewhat subtle. A hint of nature is fused into through textures that reinvent the beauty of classical themes with sophistication. Geology is the source of inspiration here. Beautiful landscapes, curves on sand, rocks and mineral formations inspire the patterns of carpets, wallpapers and upholstery fabrics. New tangible sensations enrich the interiors. The aesthetics of the digital technologies open up a new cosmos for designers. Spending hours in front of a screen, we get used to all kinds of effects of the virtual world. Playfully, with fun and passion, new realities are discovered through virtual head sets and the computerized so- called ‘Smart Living’. Digital Medley reflects the emotional experience of the union of visual and auditory senses which we experience in our everyday life. Its essential urban appeal goes beyond the youth market into designs for all age group. The trends forecasted in ‘across time’ also available as a trends book, had a physical manifestation at a generously dimensioned special area in HGH India 2017 named the Trends Pavilion. The Trends Pavilion is not an abstract concept of future trends but applicable designs and colours which can be replicated. The innovate and fashionable styles, textures and products used in the trend pavilion are sourced from exhibitors who are showcasing their products at the trade show, emphasizing the utilitarian objective of the showcased trends. HGH India 2017, India’s largest trade show for home textiles, home décor, houseware and gifts is being held at the Bombay Exhibition Centre from July 4-6, 2017. The trade show houses over 500 exhibitors and expects a footfall of 30000 visitors over the three days. Mumbai, July 04 2017: With its 6th edition, HGH India the annual trade show for Home Textiles, Home Décor, Gifts & Houseware in India where more than 500 brands, manufacturers and importers are presenting their range and innovations this year. The three day exposition was inaugurated by Ms. Kavita Gupta, Textile Commissioner and Guest of Honour H. E. Mr. Erdal Sabri Ergen, Consul General, Turkey alongside other prominent industry leaders and dignitaries. Another key highlight of HGH India will be the complied handbook of home fashion trends presented under the theme ‘Across Time’. This compilation is a well researched forecast for the Indian domestic market for the year ahead. This book was unveiled by Ms. Kavita Gupta and the visitors can experience the physical manifestation of the trends at the ‘Trends Pavilion’ section where one can discover future trends in colours, designs and materials. There will be a special audio- walk through for the visitors to enhance their experience at the pavilion. HGH India aims to give retailers, all over India, new ideas and concepts to facilitate business. The trade show has provided business opportunities and development of new channel partners to exhibiting brands in order to improve the trade. The strict B2B concept of HGH India has proven to be an inspiring and productive platform for exhibitors across rural and urban India, to push the home product retail market. HGH India 2016 had over 400 brands and received 25,140 high potential trade buyers including retailers, wholesalers, distributors, importers and from 422 cities and towns from all over India. These professional buyers come for their annual sourcing requirement, to find new business opportunities, and to understand upcoming fashion, business and market trends in the home category. With a track record of five successful editions, HGH India has firmly established its position as India’s leading trade show for home textiles, home décor, houseware and gifts categories with clear focus on India’s domestic market growing rapidly at 20-25% per annum. With over 500 leading Indian and International brands which will showcase their new designs and collections, HGH India’s 6th edition will be biggest ever edition of this trade show. With products from over 30 countries across all categories like home textiles, furnishing fabrics, home décor products like wall papers, blinds, rugs and floor coverings, fragrances, spa products, handicrafts; houseware products like cookware, tableware, kitchenware, kitchen appliances, cleaning, health & hygiene, storage and outdoor products and a variety of innovative gift products. With presence of several market leaders, well-known international and Indian brands and inspiring innovations from handmade and machine-made manufacturing sectors, HGH India has firmly established its position as India’s leading trade show in this segment. Several leading brands would be leveraging HGH India to launch their new products and innovations to the trade. Apart from regular exhibitors, HGH India 2017 will witness over 100 new exhibitors which will include country pavilions from China, Turkey and Taiwan besides individual exhibitors from countries like Australia, Japan, Thailand, Italy, France, Belgium, Germany, UK, USA, and Canada. HGH India has taken a major initiative to forecast well researched home fashion Trend Forecast for 2017-18 for the Indian domestic market. Presented under theme “Across Time” these trends will be showcased through Trends Pavilion and a comprehensive trend book. Visitors will be able to discover future trends in colours, designs and materials at HGH India 2017. Mumbai, March 2017: The Indian Home Décor, Gifts & Houseware Trade-Show Specially Designed for the Indian Domestic Market! For its 6th edition, the HGH INDIA trade-show is opening its doors again to the professional public, from 4th- 6th July 2017 at the Bombay Exhibition Centre in Mumbai. Last year, 25,140 professional visitors and 450 exhibitors attended the show. This year, the organiser expects more than 500 exhibitors. The level of last year sqm-sell out has been exceeded already today, having still 3 month ahead. Organisers expect a broadening presence of its visitor segments: chain store buyers, retailers, wholesalers, agents, corporate gift buyers, to mention a few. 30 Countries Present at the Show with Quality Brands! 500 leading Indian and International brands are expected to showcase their products at a highly comprehensive show, reflecting the Indian and international variety of products and brands. Importers and manufacturers from around 30 countries will display their products and innovations. Throughout the last years, a number of Indian and international brands have launched their new product ranges at the show. HGH India is not only the place to present the new ranges and innovations. It is likewise the distinguished event to showcase quality brands and quality products. International brands at HGH are e.g. from the UK JosephJoseph, Osborne & Little and Harlequin, Denby and Designers Guild, as well as Nachtmann, Spiegelau, Zwiesel and Zimmer+Rhode from Germany and many more exhibitors, as Juypal from Spain, Superware, Nam Ngai Hong, BoxBox and Ocean Glass from Thailand, Luminarc and Casamance from France, Omexco and Brabantia from Belgium and Elia Glass, Renga and Ucsan Plastik from Turkey. From Korea, there is Atco Interiors, from the USA, Corelle and Danali. From India, to mention some: Wellspun, Trident, Indocount, Textrade, Dicitex, GM Fabrics, Masper, Borosil and La-O-pala. This year, for the first time, Taiwan will be present with a country pavilion. China is returning to HGH with two group pavilions. In 2017, close to 30000 sourcing visitors are expected to arrive at the show – including at least 9.000 CEOs plus 6.800 sourcing heads. As last year, buyers will come from around 450 cities all over India, including second and third tier cities. They are representing department stores, hyper markets, specialty stores, high-end luxury stores and boutiques, traditional store owners, and online and electronic medium retailers. Institutional buyers, corporate gift buyers, interior designers, prospective agents and franchisees. Besides these, leading Indian importers, distributors, buying agents and brand representatives attend HGH India to explore new business opportunities and partnerships. The show delights by European style organized and determined areas in defined halls for Home Décor, Home Textiles, House & Kitchen Ware as well as Gifts. Home textiles and gifts will be found in Hall 2, Houseware in hall 3 and Home Décor in hall 5. Home Textiles: bed & bath linen, upholstery fabrics, mattresses, cushions, carpets, curtains as well as other textiles destined to interior home decoration. Gifts: business gifts, computer & fashion accessories, customised and personal gift articles, leather items, handbags, photo articles, toys and of course packaging and giftable items as well as jewellery boxes. 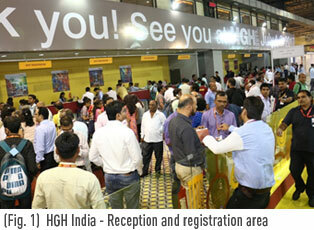 HGH India is an excellent platform for international exhibitors to find local partners, which is often a problem. The show is specially designed to connect the Indian market for home products and gifts. Visitors are traditionally received with a broad range of services, for instance the online pre-registration, meeting rooms and trend information, as well a media and business centre. HGH trade-show lounges serve tea and coffee, fruits and popcorn all free of charge, a highly welcomed service by exhibitors and sourcing visitors; not to forget free shuttle bus services and also hotel & travel assistance, including umbrella services. The trade-show is not open for the general public. No other European Style trade-show in India has traditionally focussed so far on the domestic market. 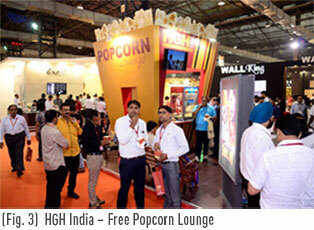 HGH India has been designed from scratch as a high-end trade show for the busy growing domestic market. For exhibitors and traders, HGH India seems to be like coming home. Mumbai, July 2016: HGH India 2016, 5th annual edition of the trade show for Home Textiles, Home Décor, Gifts&Housewarereceived an overwhelming response from the trade and industry. 25,140 trade visitors, primarily retailers from 422 cities and towns covering all states of Indiaattended this trade show in Mumbai to source home products for their business and discover upcoming home fashion trends for 2016-17. Over 450 leading Indian and International brands and manufacturers from 30 countries unveiled their innovations and new collections at HGH India 2016. Mrs. RashmiVerma, Secretary Textiles, Government of India, while inauguratingHGH India 2016 said that India was one of the most promising markets in the world today with its 7.5% GDP growth and 65% population below the age of 35 years. This market held a huge growth potential for manufacturers and brands for home products from across the globeas consumers here were upwardly mobile with increasing disposable incomes. With its professional, world-class and businesslike environment HGH Indiawas an ideal platform for the exhibitors to connect with Indian trade buyers and business partners to explore this rapidly emerging market. Offline and online retailers, specialty stores, hypermarkets, distributors, importers, wholesalers and institutional buyers found products and services at HGH India 2016 innovative, well-designed and of high quality standards. Furthermore, the latest edition of HGH India witnessed a 10% rise in number of visitorsproving the growing popularity of this trade show amongst serious buyers. Trade visitors could identify the new and upcoming colours, designs, materials and styles for 2016-17 in home textiles, furnishings, home décor and houseware through ‘Cognizance’ a stylish and well-researched Trends Pavilion put up by the organisers. Many high powered brands revealedtheir new trade schemes, business plans and product innovations simultaneously to their current and prospective dealers as well as distributors from across the country,just in a matter of three days. Besides, the trade show also witnessed several new product and brand launches from leading Indian and international manufacturers, with a clear focus on the Indian domestic market. Besides the national players in product categories like bed & bath linen, furnishing fabrics, floor coverings & carpets, mattresses, table & kitchen linen, wall papers, blinds and window dressings, home décor accessories, fragrances & spa products, handicrafts, artefacts, gifts, cookware, tableware, kitchenware and general houseware; international exhibitors from countries like China, Japan, Taiwan, Korea, Malaysia, Vietnam, Thailand, Germany, UK, France, Spain, Greece, Belgium, Italy, USA, UAE, Turkey etc. found HGH India a useful platform to expand their distribution network not only in the metro cities, but in the rapidly growing Tier 2 and Tier 3 cities and towns. With successful business results, the nextedition of HGH India, scheduled from 4th to 6th July 2017 at Bombay Exhibition Centre, Mumbai, has already generated a very high interest amongst Indian and international exhibitors as well as visitors. Mumbai, June 2016: HGH India 2016, the largest annual trade show for Home Décor, Gifts and Houseware industry saw huge footfalls on its second day. 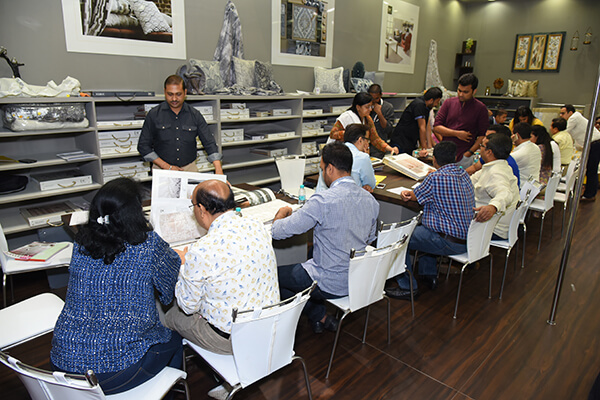 The visitors comprised of top-end decision-making retail professionals who come for their annual sourcing requirement, to find new business opportunities, and to understand upcoming fashion, business and market trends in the houseware category. With the increasing demand of the houseware category in India, this year HGH India has made sure to focus a lot more on Indian and International brands in this sector. Houseware is a growing category in the Indian domestic retail market with an annual growth of 25-30%. Products from over 100 exhibitors and brands from India and many other countries from Asia and Europe like Thailand, Korea, Vietnam, Malaysia, Turkey, UK, Germany, Italy, France and USA have taken part. This year, there is a dedicated Chinese Pavilion with above 40 exhibitors at HGH India, 2016. Major brands in the houseware sector that were present at the show were Crystal Bohemia, Lumiarc, La Opala, Kilner, Borosil, Cello, Trinity, Corelle to name a few. HGH India, the annual trade show for Home Textiles, Home Décor, Gifts & Houseware is specially designed to connect Indian market for home products and gifts. High quality trade visitors at HGH India comprise of all categories of retailers. They include department stores, hyper markets, specialty stores, high-end luxury stores and boutiques, traditional store owners, and online and electronic medium retailers. Institutional buyers, corporate gift buyers, interior designers, prospective agents and franchisees too come in large numbers. Besides these, leading Indian importers, distributors, buying agents and brand representatives attend HGH India to explore new business opportunities and partnerships. Mumbai, June, 2016: With its 5th edition, HGH India the annual trade show for Home Textiles, Home Décor, Gifts & Houseware in India bring more than 450 brands, manufacturers and importers are presenting their range and innovations this year. The function opened with the lamp lighting ceremony at 10:30 am with Ms. Rashmi Verma, Textile Secretary and Guests of Honour Dr. Kavita Gupta Textiles Commissioner were also present there with many other prominent industry leaders and dignitaries. The function also witnessed the unveiling of the Trend Book 2016-2017. HGH India aims to give retailers new ideas and new concepts to facilitate business. The trade show has provided business opportunities and development of new channel partners to exhibiting brands in order to improve the trade. The strict B2B concept of HGH India has proven to be an inspiring and productive platform to push the home product retail market.